BINGO!!! BINGO!!! BINGO!!! BINGO!!! BINGO!!! This entry was posted in Australia, Australian Author, Books, Reading Challenges, Young Adult and tagged #bingo, #loveOzYA, #loveozyabingochallenge, #readingchallenge on 31/12/2017 by Tien. I have planned a book for each square (25 in total) but I am playing another challenge at the same time so it all depends on what book is picked for me to read. Hence, I’ve actually read 12 books out of the 25 BUT it’s all over the place and only got my first Bingo! now. The orange stars on the Bingo sheet below noted squares I’ve read and the red line is my Bingo! How are you all going with your #LoveOzYA Bingo Challenge? This entry was posted in Australia, Australian Author, Books, Reading Challenges, Young Adult and tagged #bingo, #loveOzYA, #loveozyabingochallenge, #readingchallenge on 19/12/2017 by Tien. The future was a terrifying thing… But she did have a choice. Lynette Noni grew up on a farm in outback Australia until she moved to the beautiful Sunshine Coast and swapped her mud-stained boots for sand-splashed flip-flops. She has always been an avid reader and most of her childhood was spent lost in daydreams of far-off places and magical worlds. She was devastated when her Hogwarts letter didn’t arrive, but she consoled herself by looking inside every wardrobe she could find, and she’s still determined to find her way to Narnia one day. While waiting for that to happen, she creates her own fantasy worlds and enjoys spending time with the characters she meets along the way. This entry was posted in Adventure, Australian Author, Fantasy, Reviews, Young Adult and tagged #aww2017, #draekora, #fantasy, #loveOzYA, #lynettenoni, #themedoranchronicles, #youngadult on 06/12/2017 by Tien. So, I’ve spent heaps of time considering my plan of attack. I’ll share my planned books below and if you’ve read any of those and loved them, please do let me know so I’ll bump them up! 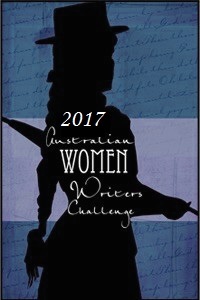 This entry was posted in Australia, Australian Author, Books, Reading Challenges, Young Adult and tagged #bingo, #loveOzYA, #loveozyabingochallenge, #readingchallenge on 29/11/2017 by Tien. There aren’t many post-apocalyptic / dystopian novels set in Australia. I can think of 2 others besides this one and only this one is YA. That is one of the main reason I was interested in this book. We were told that people disappear. They disappear because they’re sick and will have to be quarantined. Callie’s dad ‘disappeared’ a long time ago but now her little sister, Gracie, seems to be falling sick. Gracie is basically the only family Callie has left and she wasn’t going to let Gracie go just like that despite what everyone says and so began her journey to find sanctuary for them both. Despite being un-surprised, I’d love to get onto the next book as The Silent Invasion was quite an adventure and I’d like some closure too! In the meantime, if you know & liked any other post-apocalyptic / dystopian set in Australia, I’d love to hear from you! James Bradley was born in 1967. He is the author of three novels, Wrack, The Deep Field and his most recent, The Resurrectionist; a book of poetry, Paper Nautilus; and the editor of Blur, a collection of stories by young Australian writers. He is a well-respected critic and regularly reviews for the Sydney Morning Herald and The Age. He lives in Sydney with his partner, novelist Mardi McConnochie. This entry was posted in Adventure, Australia, Australian Author, Post Apocalyptic, Reviews, science fiction, Young Adult and tagged #australianauthor, #jamesbradley, #loveOzYA, #postapocalyptic, #thechangetrilogy, #thesilentinvasion, #youngadult, Australia, YA on 20/09/2017 by Tien.